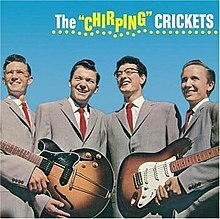 THE CRICKETS: THE ‘CHIRPING’ CRICKETS: 1957: 5 STARS OUT OF 5 STARS: John Lennon once said that this album was one of the few he could play from start to finish without skipping a track. Oh Boy!, Not Fade Away, Maybe Baby, That’ll Be The Day, I’m Looking For Someone To Love all classics. Buddy Holly Lives! CHUCK BERRY: CHUCK: 2017. 3 1/2 STARS: Chuck’s final statement- and first studio album since 1979’s Rock It. In the fall of 2016 the album was announced for 2017 release- Chuck passed before its release. Big Boys got some radio play. The album is a mixture of famous Chuck Berry type rock and roll songs that he was most famous for- and slower blues numbers- which during his prime were great songs but overlooked because they were just that- blues songs. As John Lennon once said “If they wanted to call Rock and Roll by another name they could just call it Chuck Berry Music. 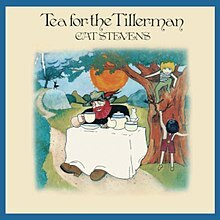 CAT STEVENS: TEA FOR THE TILLERMAN: 1970: 5 STARS OUT OF 5 STARS: Cat’s 4th- best and most acclaimed album-Wild World peaked at #11, other strong songs-Where Do The Children Play?, Hard Headed Woman, Father And Son, Tea For The Tillerman. Rolling Stone ranked it #206 on their Top 500 albums list. My favorite singer- songwriter from the period- along with Joni Mitchell. KIM CARNES: MISTAKEN IDENTITY: 1981: 4 STARS OUT OF 5 STARS: Bette Davis Eyes- one of the massive hits of the 1980’s spent 9 weeks at #1 and propelled the album to #1 also. Miss Davis certainly approved saying the song made her relevant to the rock generation. This was the high point in Carnes career also-she won Record of the Year and Song of the Year. It is a great song. There were a couple other singles on the album- Draw Of The Cards #28 and Mistaken Identity #60. A pretty good album. The cover of Frankie Miller’s When I”m Away From You- sounds to me like it could have been a hit also. listened to sunday’s edition of Celtic Crush with Larry Kirwan on The Loft. I agree! Both are great albums- I have all of his CD’s- now trying to collect all of them on vinyl! I have only heard 3 of his albums. I need to collect more myself! I like his later comeback albums of this century also.. I don”t know how many people I have talked to who for some reason or another- lost all their vinyl along the way… Yes Dylan and The Band– and Lightfoot is underrrated!!! Vinyl has the character CDs and mp3s will never have. They are like long lost friends. Did you used to be a DJ? You know an awful lot about music and musicians! No never was a DJ- just my personal DJ I guess. Thanks… Yes I agree on Vinyl- about six weeks ago i started listening to all my vinyl- those are special as CD’s and downloads will never be. I can still remember when and where i got most of those vinyl records- CD’s- just not that special. downloads- forget it. Its good to see vinyl making a comeback of sorts. The Chirping Crickets could have easily been a greatest hits package… great album. by Julie Mundy, Darrel Higham… Wow I was surprised to find this. I would like to know more about Gene Vincent also…he was a wild guy. Thanks- will have to search for that. I figured he had been overlooked. Yes Gene Vincent another interesting character! The part in Mark’s book about Vincent giving George the gun…I want to read about him. I found a documentary on Vincent on his last tour…getting a British pickup band…his voice never went away. I loved the description Mark had of Vincent- the black teeth- he was scruffy, dirty, ugly, scary and utterly wonderful! It is interesting to say the least. His voice is still Be Bop a lula strong… but it has a sad tinge to it…he was nearing the end at a young age. Will look that up. Gone at 36..